The origins of the city date back to the Spanish colonialists however, it’s often the gold rush that’s cited as bringing prosperity and entrepreneurs to the region which still remains true to this day. In more recent times, the city became a Mecca for America’s alternative generation with beat poets, hippie activists and gay rights supporters all adding to the allure of the mild climate and rolling hills. 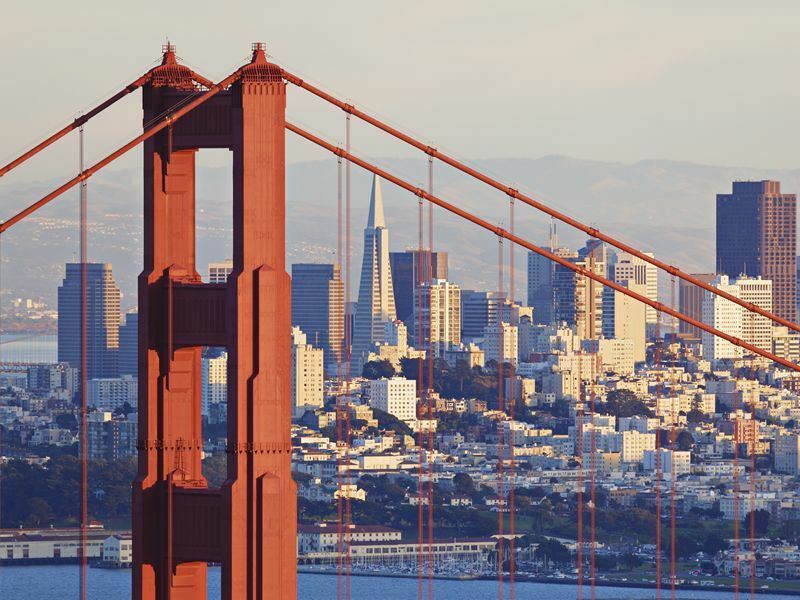 If you’re considering a trip to California then it would be rude not to pop in to San Francisco and if you need any further persuading then below are our top 10 things to do while you're in town. This is the oldest district dedicated to all things Chinese in the whole of North America and you’ll find a massive array of restaurants, shops, shrines and flamboyant symbols sandwiched between North Beach and Telegraph Hill. There’s always a parade of some sort going on but nothing beats the colourful festivities around Chinese New Year where locals come out in their droves to celebrate and give thanks amidst a background of food, music and religious ceremonies. This was the west coast’s first museum to focus purely on 20th century art and as such you’ll find a heady blend of modern exhibits featuring artists such as: Warhol, Pollock and Francis Bacon. It’s expected that this year’s attendance figures will push the one million mark thanks, in part, to the opening of a new wing and don’t be surprised if things get a tad busy at the weekend. As the museum is also home to a restaurant and café it makes for the perfect venue on a rainy day and late night opening on a Thursday is an excellent option if you’re stuck for things to do in the evening. 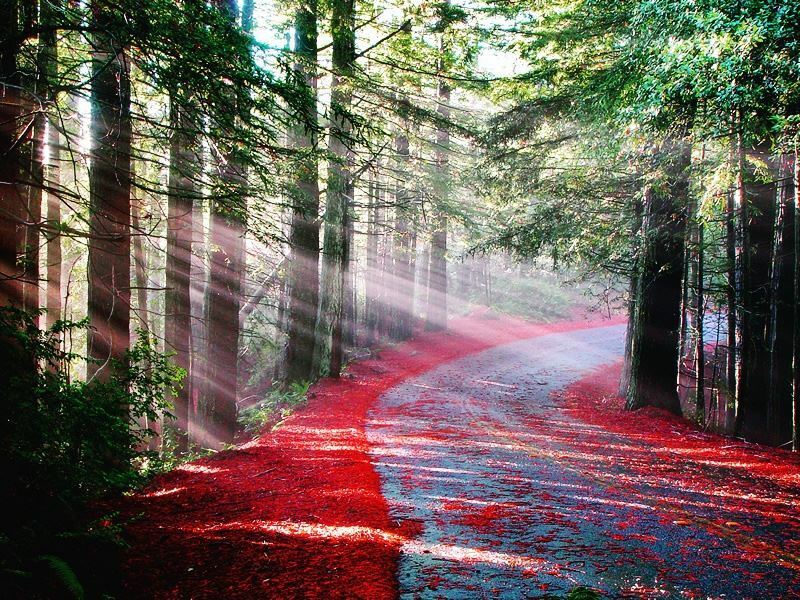 Situated just 12 miles to the north of the city, Muir Woods National Monument is a shrine to the gigantic sequoia trees that are synonymous with the west coast. This ancient Coast Redwood forest is a magical place and the almost habitual shroud of Pacific fog does nothing to reduce the air of mysticism. A trip here will lead you into a natural world of animals, birds and good clean fresh air which makes for an excellent day spent outdoors, especially if you’re into: hiking, camping and photography. Named after St Francis of Assisi this church is the oldest surviving structure in the whole of San Francisco and can be found on the intersection of 16th Street and Delores. Still a practising site of worship, the building has witnessed an eclectic array of visitors and cultural changes since it first opened its doors in 1776 and, as such, provides a unique and enjoyable means of finding out about San Francisco’s fascinating past. The cemetery and gardens are well-worth a visit even if you’re not in the mood for anything too religious. If you’re heading to the shops and attractions of Pier 39 then make sure you spare a couple of hours for the Aquarium of the Bay which is home to a whole host of marine animals, including: sharks, eels, rays and starfish. The site is split into three separate areas: Discover, Under and Touch, which are full of tanks and tunnels featuring literally thousands of sea creatures. With a focus on local animals, indigenous to San Francisco Bay and the Pacific, this is an excellent introduction to an amazing underwater world. This is currently the home of 2012’s Super Bowl finalists, the San Francisco 49ers who have played American football here since the early 70’s. Watching a live game or going on a stadium tour will take you right to the heart of American culture with a whole load of restaurants, exhibits and a kids’ zone complimenting the vast array of gold and red merchandise. As the park is to be demolished after the 2013 season this could be your last chance to see the stadium in the flesh so make sure you visit as soon as possible. As the undisputed highest points in the city, the large hills, nicknamed Twin Peaks, promise some fabulous views as well as a barrier between the elements of the Pacific and the city streets. Reaching the top is pretty straight-forward and you’ll find loads of hiking trails, picnic spots and those all-important vistas to make the most of your time once you arrive. As always in San Francisco, the weather is changeable so make sure you come equipped with at least a spare layer or two no matter what the time of day. Thanks to its size, over three miles long and a half mile wide, Golden Gate Park is an ideal oasis to kick back and relax on a sunny day. Picnics, exercising and just getting away from the general hub-bub are all excellent options and, as this is the fifth most visited city park in the whole of the USA, you’re bound to be in good company. 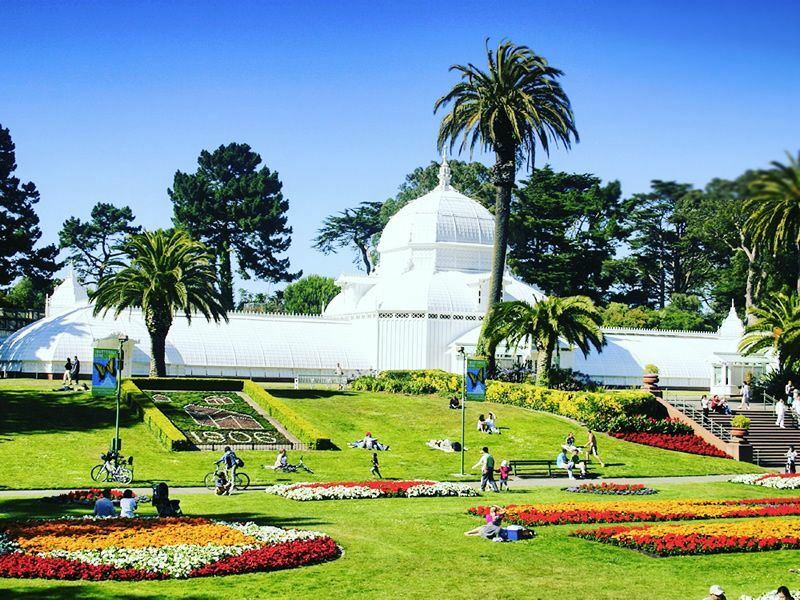 With memorial groves, Japanese tea gardens, flower conservatories and a couple of lakes at your disposal it’s easy to see why GGP annually attracts more than 13 million visitors. Regarded as one of the hairiest and infamous streets in the city, Lombard has to be seen to be believed. 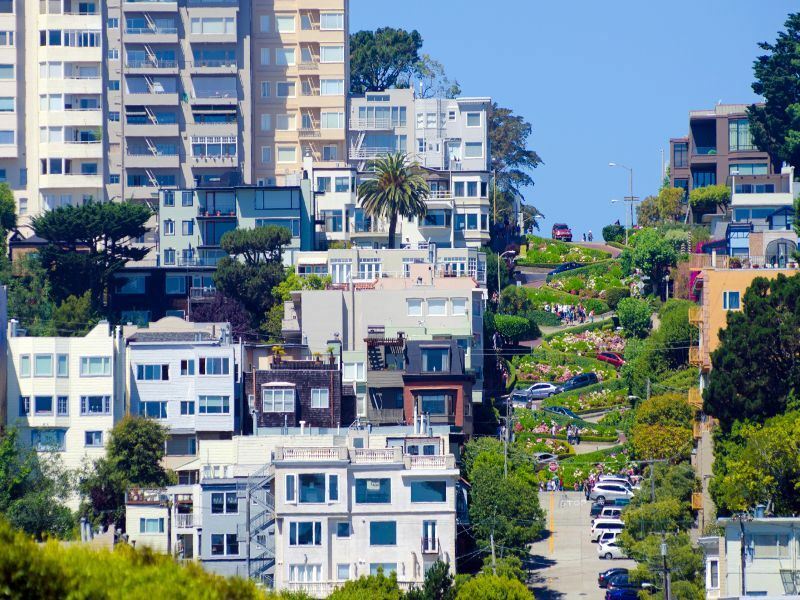 Running from Presidio Boulevard to Telegraph Hill Boulevard, Lombard Street is the epitome of the hair-pin bends and steep inclines for which San Francisco is known the world over. Driving down Lombard is not highly recommended however, the view from the Coit Tower is well worth the effort, especially if you’re in the area as the evening street lights switch on to illuminate all of the twists and turns. With one of the most extensive exhibits of Asian art anywhere in the world, this is an extremely rewarding experience that features over 17,000 works from as far afield as Tibet and the Himalayas. From Samurai armour to 12th century sculptures, this is a remarkable centre for art and often attracts some really special temporary displays so keep your eyes peeled to their website for regular updates. Located opposite City Hall, in the centre of the Civic Centre district, the Asian Art Museum is a ‘must see’ for art lovers and the late night opening on Thursday presents a whole new perspective on a night out in San Francisco. Further reading: Find out about another of San Francisco's top attractions - the iconic cable cars - which make for a unique and fun way to get around the city.